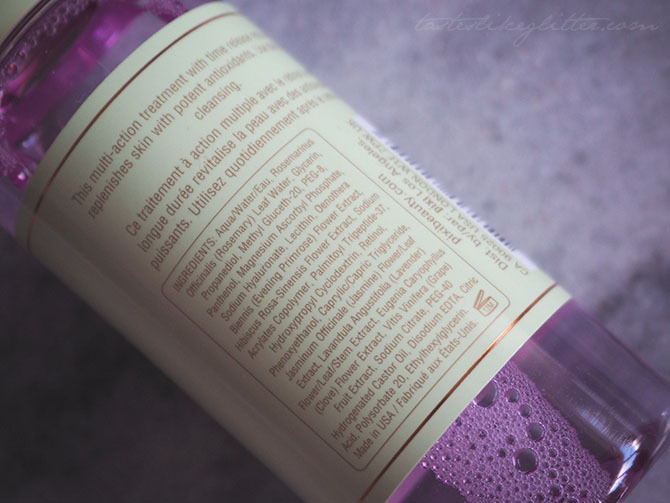 Isn't it funny how sometimes things become such everyday staples, ones we can't live without but they often get overlooked in favour of brand new shiny products? 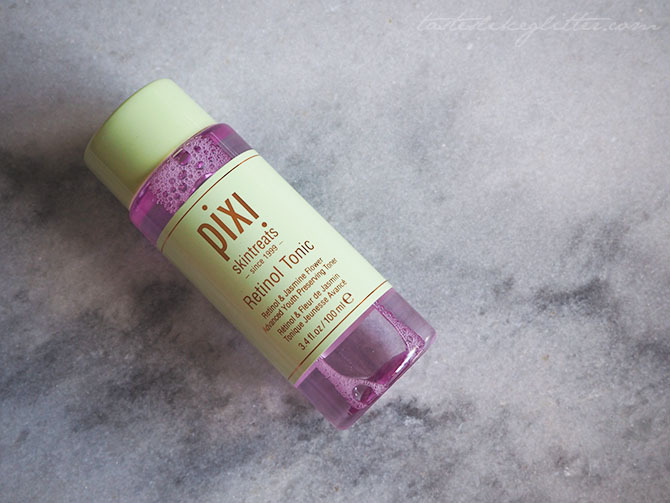 Pixi Glow Tonic, the OG has been a firm favourite for the last couple of years in my skincare routine but it's not one I've ever posted about oddly enough. Mid last year this was joined by two new additions a retinol version and also a rose version. After reading into the benefits retinol has on your skin I decided to give it a try. This little purple bottle contains a unique time-release retinol, meaning that it works through the night whilst you're having some lush dreams (hopefully). It contains peptides that help firm the skin and boost collagen production. With the addition of jasmine flower which helps heal and balance the skin. Retinol has so many good benefits for the skin but you have to be careful when using it alongside vitamin C as the two can cancel each other out. It's most useful at helping with hyperpigmentation and lightening up scarring, which is one thing I am most conscious of - my scarring so anything that can help get rid of that is a bonus. It also goes hand in hand with helping to battle acne by helping sooth inflammation, removing dead skin cells and making pores appear smaller. So not only does it help lighten scares it also fights any breakouts you might also have. For such a potent product I actually find this really gentle on my skin, it never stings or hurts and doesn't tend to dry my face out. Introducing retinols can be slightly daunting but I think this is a great starting point as it's gentle enough to be used twice a day.